Facts, figures, and statistics can put problems into perspective. If can help people understand that they are not alone with their eye conditions, giving them the confidence to seek professional help. The team at our Bakersfield, CA vision correction center always strives to offer patients context for treatments that can give them a sense of empowerment. With this in mind, let’s go through some statistics on vision problems and eye care treatments. Unless otherwise noted, the figures below were compiled by the American Academy of Ophthalmology (AAO). Approximately 2.4 million eye injuries occur in the United States every year. Around 2,000 people injure their eyes at the workplace each day. At home, roughly 125,000 eye injuries occur annually. Simply by wearing eye protection, 90 percent of all eye injuries can be prevented. More than 34 million Americans age 40 or older suffer from myopia (nearsightedness). Around 14.2 million Americans in the same age range suffer from hyperopia (farsightedness). Astigmatism affects around 1 in 3 people, and usually accompanies nearsightedness or farsightedness. To address refractive errors, many people wear prescription glasses or contacts. More than 150 million Americans wear corrective eyewear to address their refractive error. Approximately 37 million Americans wear contact lenses for their refractive error. Laser eye surgery has grown in popularity over the years. UCLA’s Stein Eye Institute estimates around 700,000 refractive surgery procedures performed each year. LASIK makes up 96 percent of all refractive procedures, and carries a 95 percent satisfaction rate among patients. Low vision refers to people whose best corrected vision is still less than 20/40. Approximately 2.9 million Americans age 40 or older have low vision. Visual impairment is a worse designation, and means that in a patient’s best corrected eye, their vision is still worse than 20/40. Around 4.2 million Americans age 40 or older suffer from visual impairment. Total vision loss is a different issue that low vision or visual impairment. This means that in a persons best eye, their vision is 20/200 or worse. Around 1.3 million Americans age 40 or older suffer from blindness. Cataracts are a common part of the aging process. Half of all Americans will suffer from cataracts by age 75. It’s been estimated that 24.4. million Americans age 40 or older have cataracts. The clouding of the lens of the eye can be easily addressed through a routine surgery. Glaucoma is a cause of blindness in many individuals, and it can be difficult to detect and diagnose. Around 2.7 million Americans age 40 and older suffer from glaucoma. Be sure to undergo regular eye exams if you are at risk for the condition. A common cause of vision loss with old age, it was estimated that 9.1 million Americans suffered from early-stage AMD. Around 2.1 million people 50 years old and older suffer from later stages of AMD, which causes serious vision impairment. 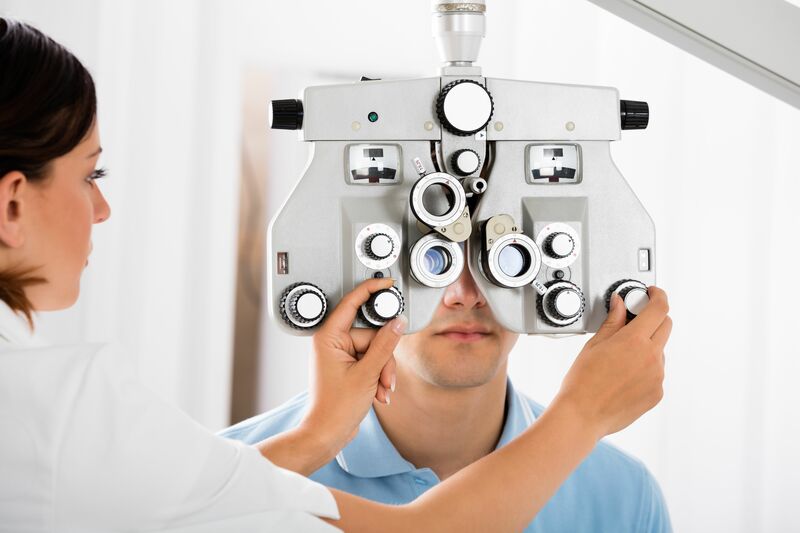 For more information about vision correction and your many options for advanced treatments, be sure to contact the doctors at Southwest Eye Care and Laser. Our team is here to answer your questions and provide insight into your ideal options for care.